When I was eleven, my mom, baby brother and I went to California for a week to visit relatives. While we were there, we went with my grandma to something called the Sawdust Festival. Almost right when we walked in, there was a booth where they were making pottery. 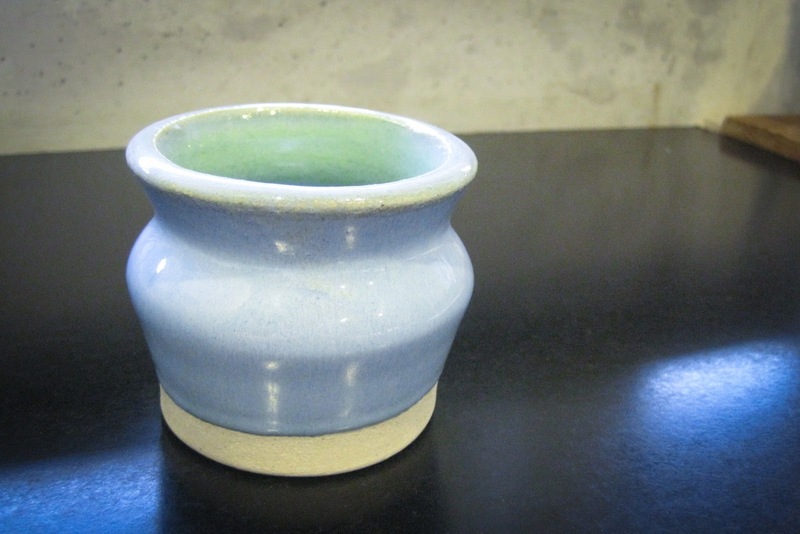 My grandma immediately suggested that I make a pot. I declined, but my mom and grandma held firm, so in I went. I’ve always been fascinated by the making of pottery. It’s so amazing how an ordinary lump of clay can become something so beautiful. 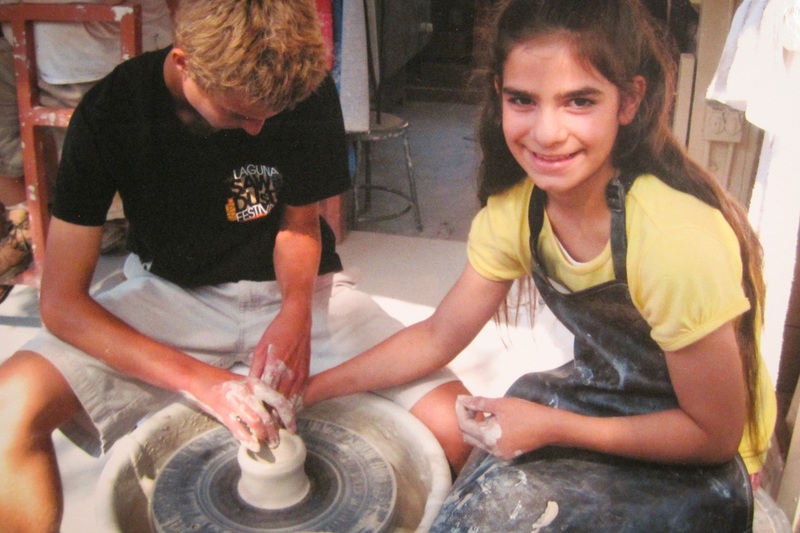 Pottery is a very gentle process. You have the keep the clay moist so that it will be pliable. The smallest amount of pressure from any of your fingers can radically change the outcome of the pot. You must be careful how you move your hands. I think that this is a very accurate picture. All of us are empty, ugly, formless lumps, until the Potter gets a hold of us and begins to form us into the beautiful pot that He has planned. 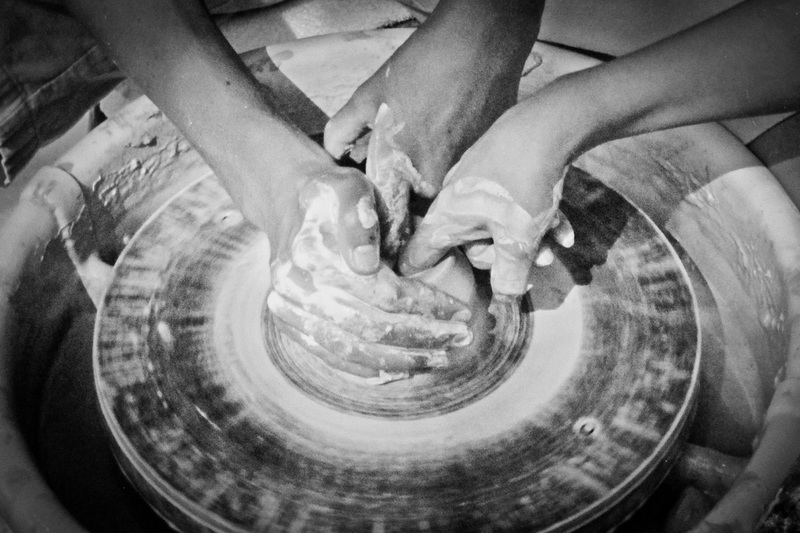 Although His hands are gentle, and His fingers never make a mistake, we are stubborn blobs of clay. We don’t want Him to change us, so we remain hard and dry, unwilling to let Him shape us into something beautiful. We stubbornly resist the gentle proddings He gives us and continue on in our own selfish way. Then, for our own good, the Potter applies real pressure and collapses the pot. It lies there, again a useless lump of clay, and realizes how little it had on its own. The Potter again begins His work, and hopefully the Clay will be a little more willing. The Bible tells us to be as soft clay. But how are we to do this? How do we remain sensitive to God’s touch, and let Him change who we are? The answer is surprisingly simple. Really? Is it really that simple? Yes. Today, we seem to have an aversion to simple answers. We say, Oh, it can’t be that easy. Or, Surely there is something else. But sometimes, the truth really is that basic. We need to soak ourselves in the Word. We need to be reading it constantly, and talking to God. That is the only thing that will keep us soft and moist clay – reading the Scripture and prayer. If we truly want to be like Christ, then we must strive toward it with all that we have. It’s not easy, but the end reward will be so worth it. I must confess, this is an area in which I have been failing. I don’t read the Bible as much as I should. I’m pretty good about reading some daily, but even that has been halfhearted effort – especially during NaNoWriMo. And I don’t pray nearly as much as I should. When I do pray, it’s usually me praying for my family and friends. I’m not saying that’s a bad thing, but prayer should be more than us sending God a list of requests. So I challenge you: Read the Bible. Take every word you read seriously. Soak yourself in the words that God has given you, and let it change your life. Let Him make you into a vessel for His glory. To be continued in part two: The Beautiful Pot.